People are waiting for their cargo! Use the magnetic crane to load containers onto the train. Then press the button on the engine to drive around the oval track and make deliveries. 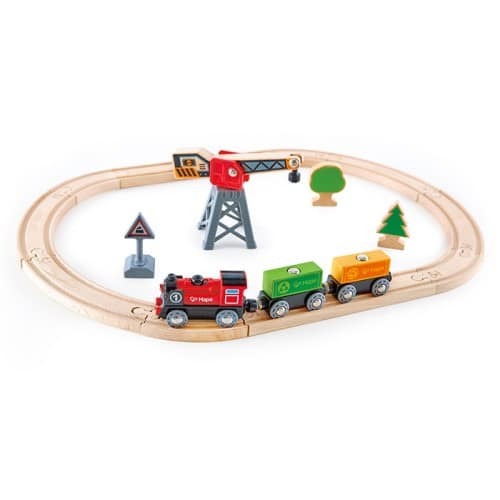 A complete railway allowing children to problem solve, manipulate and discover.Requires 2 x AA batteries, not included. Measures 50cm Height x 40cm Width x 12cm Depth.